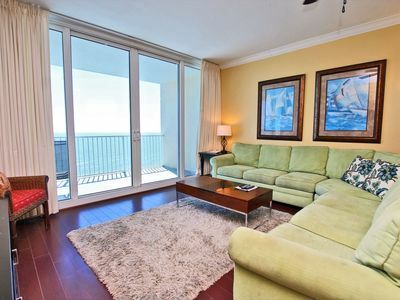 Lightly Salted- Brand New Home, 5 min walk to beach, Gulf Views!! 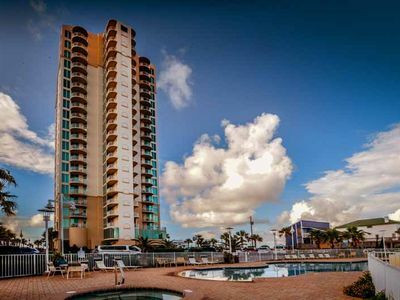 Lightly Salted- A brand new home in the perfect location! Welcome to Lightly Salted! 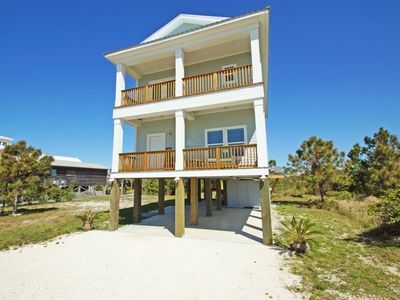 Lightly Salted is a brand new 4 bedroom, 3.5 bathroom home with gulf views and 2 balconies which is the perfect spot for your family vacation! 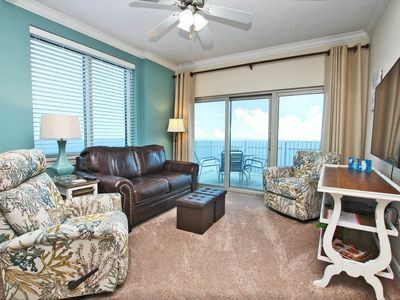 Lightly Salted is a beautiful home with tasteful decor throughout and located in the prime area of Gulf Shores. 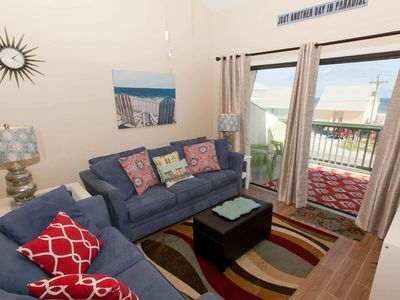 Guests will love the comfort of this beautiful brand new home! At Lightly Salted the open floor plan, roomy seating, and dining areas on the main level provide plenty of room in the common areas for trips of all occassions. 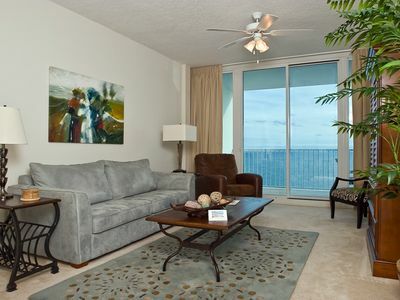 Choose game night, watch movies, host social events and cookouts, or utilize this beautiful space for pure relaxation. 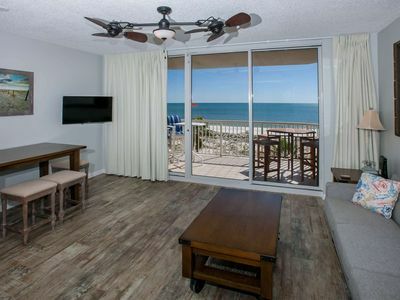 Lightly Salted has all of the amenities to make your vacation happen! There are sleeping arrangements for 4 on the main level. 2 may sleep on the sleeper sofa in the living area and 2 may sleep in bedroom #4. These guests will have access to the hallway bath. 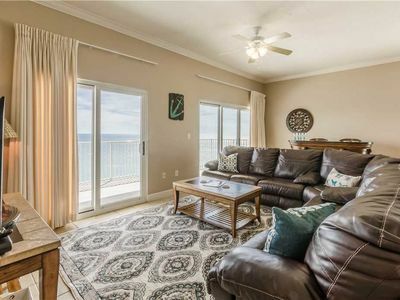 This two story home offers privacy with 3 of 4 bedrooms being upstairs, perfect for guests who wish to sleep a little more on their vacation, uninterrupted from the main level noise. 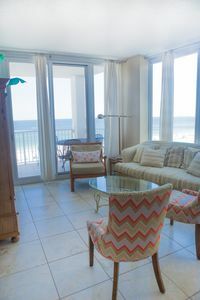 Included in these upstairs bedrooms is a beautiful master suite with a balcony that overlooks the white sandy Gulf Shores beaches. 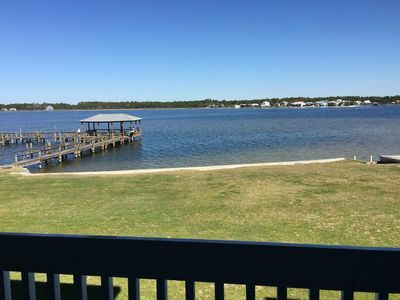 Add this to your list of places to relax and enjoy a cup of coffee while taking in the salty breeze from the porch! 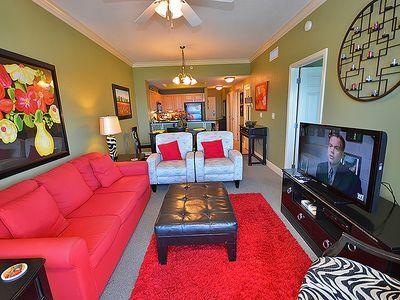 The master bedroom is also equipped with a huge master bath with a shower and a soaking tub and an LCD TV. Bedroom #2 is equipped to sleep 2 on a twin/pull out trundle. Bedroom #2 is also equipped with an LCD TV. 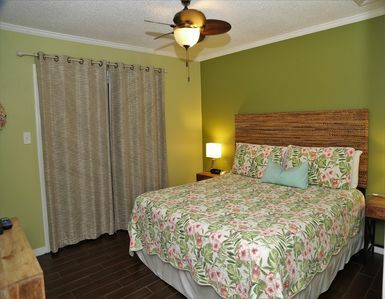 Bedroom #3 is equipped to sleep 2 on 2 twin beds and has a large LCD TV. Bedrooms #2 and #3 will share the upstairs hall bath. 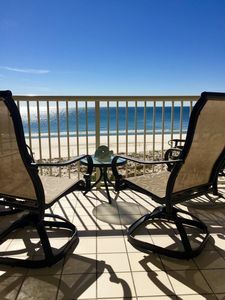 Gulf Shores is well known for its sugary-white sand beaches with sparkling blue water, its world-class fishing, it's great dining and entertainment. 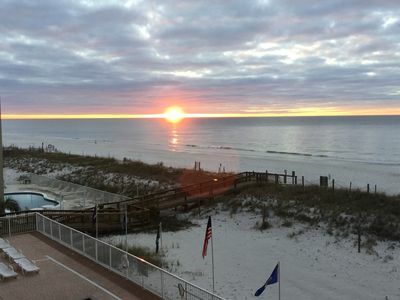 Gulf Shores presents a great family environment with something to do for everyone! 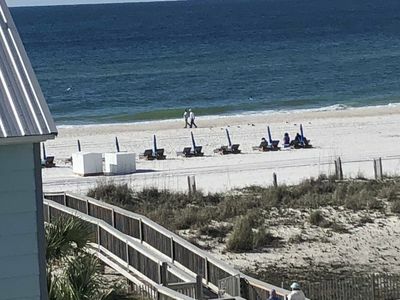 Whether you prefer taking a bike ride at The Gulf State Park, watching some live music at The Hangout, or having a Go-Kart race at The Track, you are sure to enjoy all of the great things that Gulf Shores has to offer! We love people of all ages and we want everyone to enjoy our homes however, we do require an adult 25 years or older to reserve the home. They must also be present at the home during your entire stay. We do not rent to anyone under the age of 25, there are no exceptions to this policy. The Landing 102 - FREE GOLF, FISHING, DVD RENTALS, WATERVILLE AND ESCAPE ROOM TICKETS! Ask about our DISCOUNTS!!! 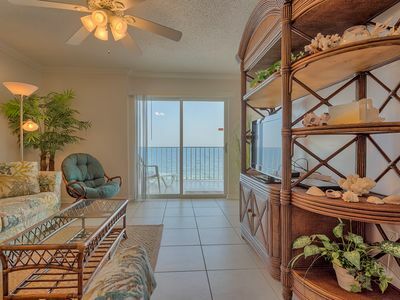 Gulf Front with Amazing View! 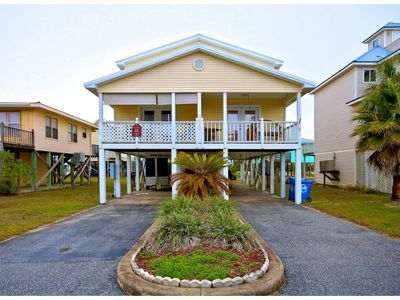 2 Master Bedrooms! 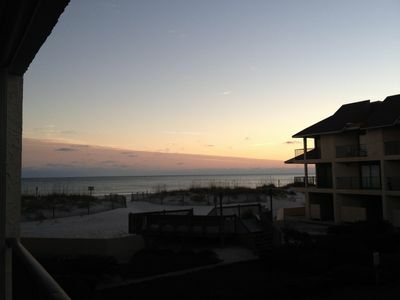 7 nights for price of 5 nights! | Book Now! 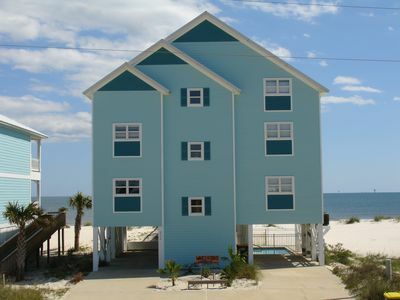 Waves of Grace - Gulf Front House! 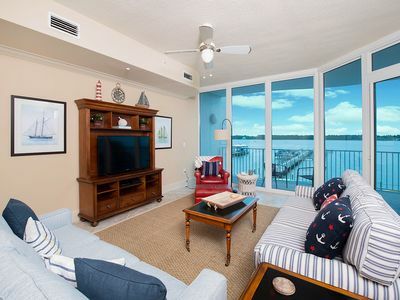 Bristol 3BR/3BA~Come Enjoy the golden sun, turquoise surf and powder white sand! 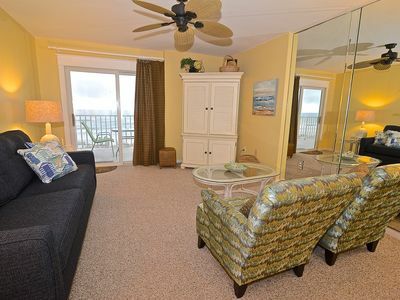 B-Side the beach..ocean view, just steps to 13th st public beach access! !